LINCOLNSHIRE grain giant Gleadell has welcomed the completion of a refurbished and expanded exclusive facility in East Sussex. The Hemswell firm said the move opens up yet more market opportunities for southern growers. Marc Rogerson, trading manager at Gleadell Agriculture., welcomed the departure of the first vessel, MV Shetland Trader, with 2,000 tonnes of Cordiale milling wheat from Rye. He said: "After refurbishment and investment – including a new grain store for Gleadell’s exclusive use – we have just loaded the first of many cargoes in our new export programme from Rye. 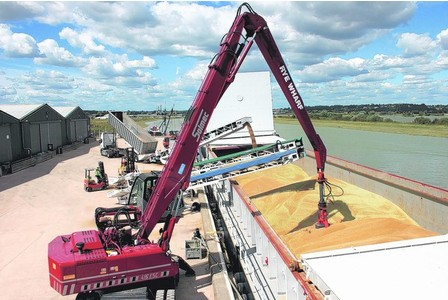 "The port has not been used for regular grain cargoes for quite a few years, so our programme will give an additional outlet for the farmer customers of our southern office. 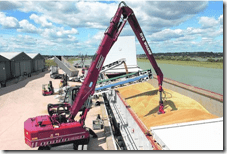 "Also the timing is good, as the shipment is destined for Scotland and, hence, gives end users there excellent quality new crop milling wheat around a month before their own new crop wheat."